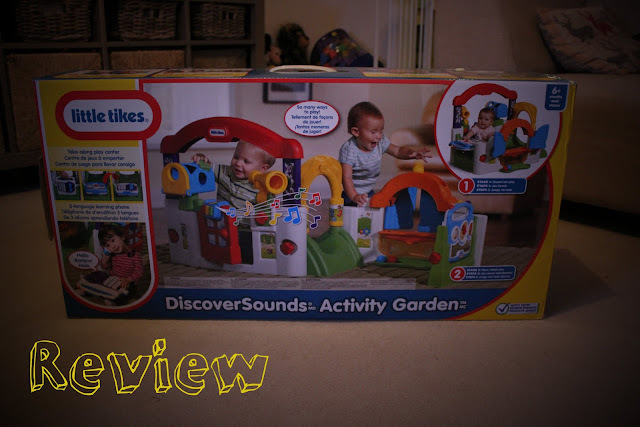 I was recently sent the Little Tikes Activity Garden Play Centre to review, and I have to admit I have been pleasantly surprised! We have ours as the crawl through obstacle course to test her new found crawling skills! Now despite that Darcie can crawl very well she can't quite work out how to go through the tummy slide section, my daughter is a little large for her age and so I think this makes it difficult! Another great point to this particular section is that it can be removed for on the go play! Overall I have been very happy with this product and can't think of any real faults. My only issue (and its no real biggie) is that it won't last Darcie very long as she will soon grow out of it, she tries to pull herself up on it and it isn't designed for that, for the time being though its a big hit in our household! I wish I had known about this toy earlier!! This is currently available at ARGOS £69.99, Argos has been my go to store for Darcie bits lately, they have such a great range for kiddies Argos also sell a great range of ride ons and also have a good range of go karts in their outdoor toys range for the bigger kiddies!